Imagine a large warehouse space overflowing with furniture, artwork, rugs, lighting, plants, and accessories. Truckloads of items come and go every day to style luxury properties around the city. Expert property stylists carefully select and install each piece, managing the removalists and bumping out after each successful sale. 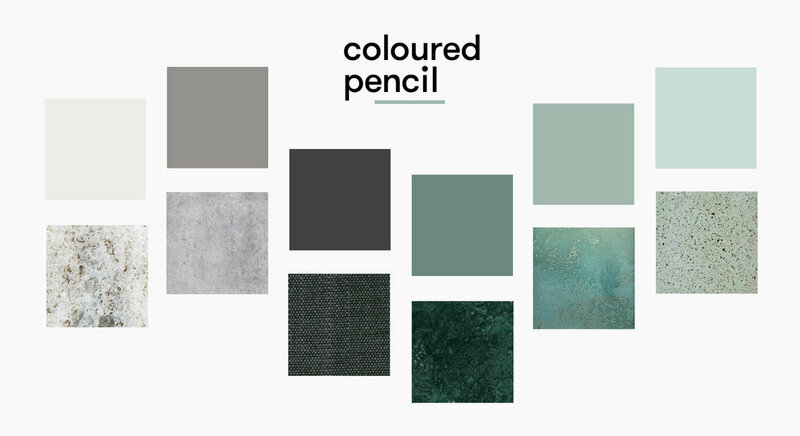 I worked with Coloured Pencil to rebrand the business and design a company website, which saw great results. The team were keen to take it to the next level - digitise the warehouse, and develop a tool that would manage the inventory, coordinate projects, track asset status, activity and reporting. The dashboard gives a real-time snapshot of everything that's going on in the warehouse. Stats, active projects, and items being checked out/in are clearly visible. We unpacked the process stylists use to plan projects. 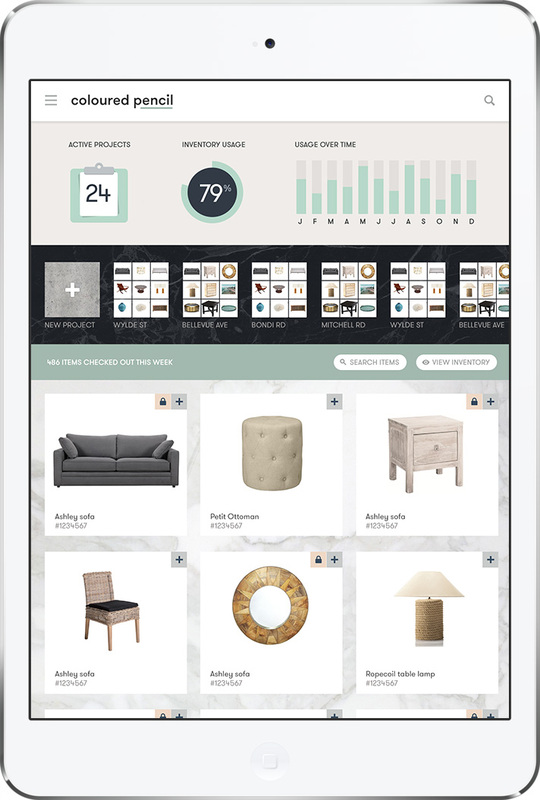 Items were previously selected within the physical warehouse, but now the entire project can be designed and executed from within the app. Categories mimic the stylists design workflow and items can be checked in/out with ease. Detail pages show clean product shots and eloquent descriptions of the item for use in client moodboards. 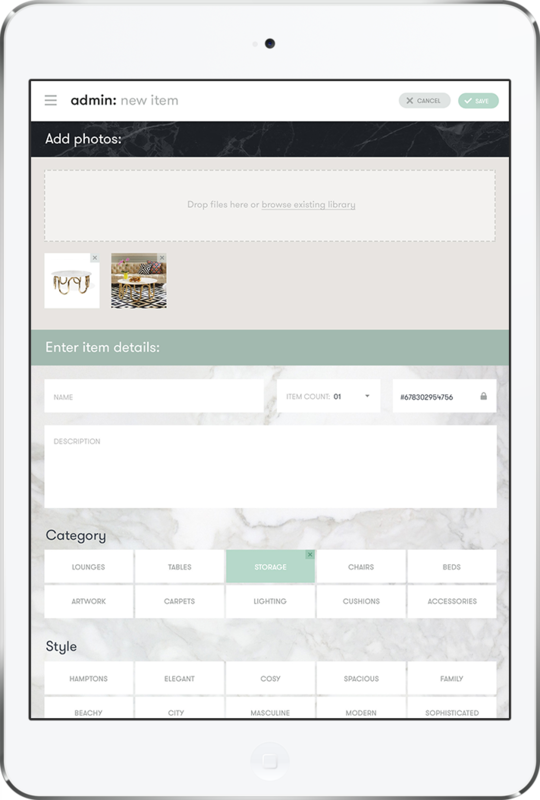 But stylists can also add in-situ photos directly from the ipad to record details of the installation and styling tips for next time. The bespoke admin system has everything they need, and nothing they don't! Images can be added straight from the ipad camera, and reordered with gestural drag and drop. Tagging is simple, and granular details about sourcing, price, brand and usage will contribute to more complex reporting features in the future.